Everyone is excited that the Minions are coming. Everyone except my kid that is. A few months ago we were at a fair and Hannah was given a minion Stuart. She didn't like him. At all. I'm not sure if it was his yellow body. Or jean overalls. Or the fact that he only has one eye. But she definitely wasn't a fan. However the rest of the world seems really excited about their new movie - including KINDER Canada. 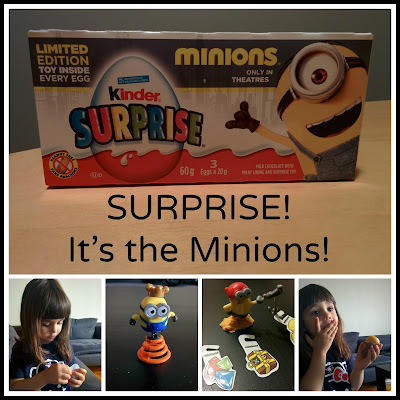 Minions toys are inside specially marked limited edition KINDER® SURPRISE® Classic eggs, in stores now! There are 11 Minion toys to collect. Luckily for Hannah, she loves the chocolate just as much as the toy...and so far we haven't come across Stuart so she's been happy with her surprises. 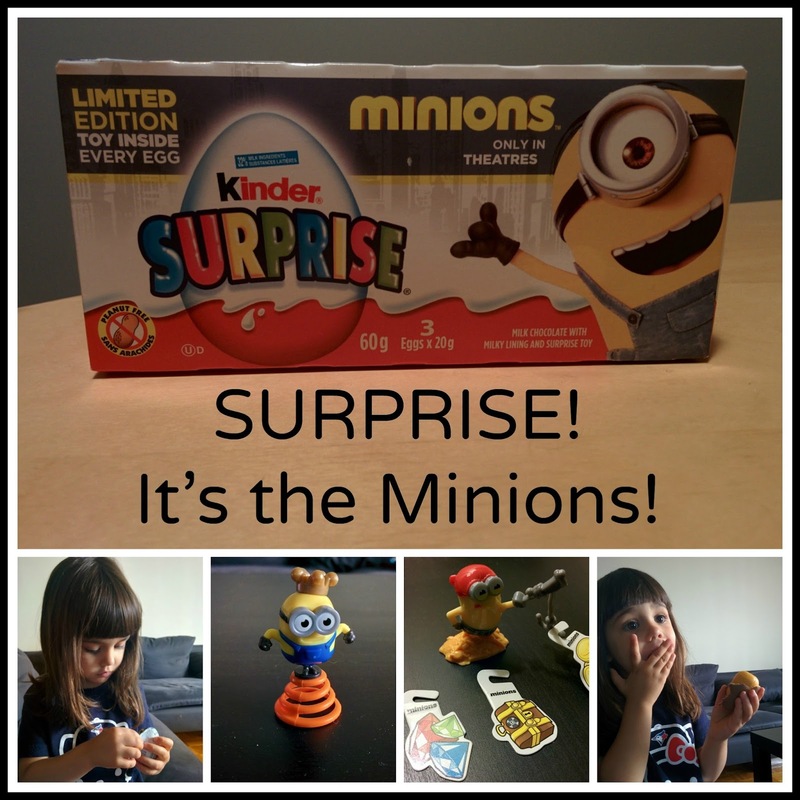 Make sure you like the KINDER® Canada Facebook Page to enter great contests and learn about upcoming fun! You can also Share photos and tag Kinder Canada on Instagram. Do you love the Minions? Will you be seeing their new movie in theatres this month?